An evening at the Arboretum, music, Hors d'Oeuvres, and lively conversation promise to inspire. The Grand Old Apple Tree - so, what did we find out??? In our Spring issue of TWIGS, we included an article outlining the possibility of confirming, once and for all, the identity of the historic apple tree which resides at the Arboretum. The following is an update to that article. Enjoy the findings! Historically, one of the most significant plants at the Arboretum is the grand old apple tree that was most likely planted about 100 years ago. It can be seen in some of the earliest photos from the Peterson and Olson eras. In those photos, one finds it as a small tree growing behind the home that Irma and Charlie Olson built; later photos of that era reveal its success and continued growth year over year. A favorite photo shows Irma standing in front of the tree while it was in full bloom with Marie Peterson looking on from the dining room window. Since my arrival in 2007, I’ve heard repeated references to the tree being a ‘Golden Delicious’ variety, but over the years I’ve had my doubts; where would the Peterson Girls have found a ‘Golden Delicious’ apple at a time when named cultivars probably wouldn’t easily have found their way north? Also, the ‘Golden Delicious’ was introduced in 1914 and the possibility of finding it north that soon after introduction may not have been realistic. Since I first met this tree, I have been speculating that the Petersons started it from the seed of an apple one of them had eaten. Being the resourceful homesteaders they were, they would always have been looking for another food source. Since apples do not come true from seed, they wouldn’t have gotten a Golden Delicious tree from a Golden Delicious fruit. Through a chance reading, I discovered an opportunity to put my hypothesis to the test and early this spring got the process started (see Spring issue of TWIGS). The noted East Malling Research Station in Kent, England provides a service that would allow us to finally determine what our tree actually is…through a process of genetically fingerprinting our tree and comparing it with their extensive cultivar database. Leaf samples were meticulously collected, prepared, and sent at the appropriate time this spring and were analyzed. The results were screened against 2400 different cultivars. The results? : We have a unique tree that doesn’t match any known apple cultivars. All samples gave a clear fingerprint for each of the 12 SSR markers used. The genotyping profiles obtained for the sample were compared against the standard accession, as well as the database for Malus held in The National Fruit Collection (NFC) (located in Brogdale, Kent) and other Malus accessions previously submitted for fingerprinting by other customers. The data were also compared to 75 accessions held in an observation plot at East Malling. Thus, more than 2400 different apple accessions were used to compare fingerprints of samples tested here. We can conclude that test sample is not “Golden Delicious”. In addition, this sample does not clearly match any of the fingerprinting data held in our data base. It suggests that the “Jensen-Olson” sample is a unique genotype. As some of the markers match between the test sample and the standard it may be that the “Jensen-Olson” tree is a seedling of “Golden Delicious”. Mapping of the Arboretum and its plant collections is finally moving into high gear. 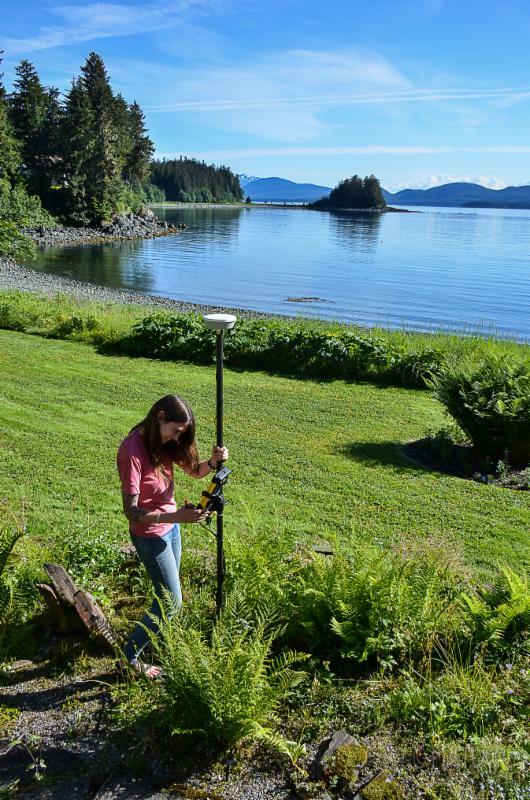 University of Alaska Southeast (UAS) student Mollie Dwyer has taken on this endeavor as a Geographic Information Systems (GIS) class project. She is developing a working base map (to which desired layers – structures, trails, plants - can later be added) and is gathering data for individual plant locations. 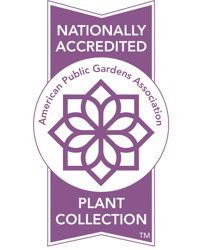 Mapping of the Nationally Accredited Primula collection is a requirement of holding that distinction – a requirement we’ve been working toward the past couple of years. 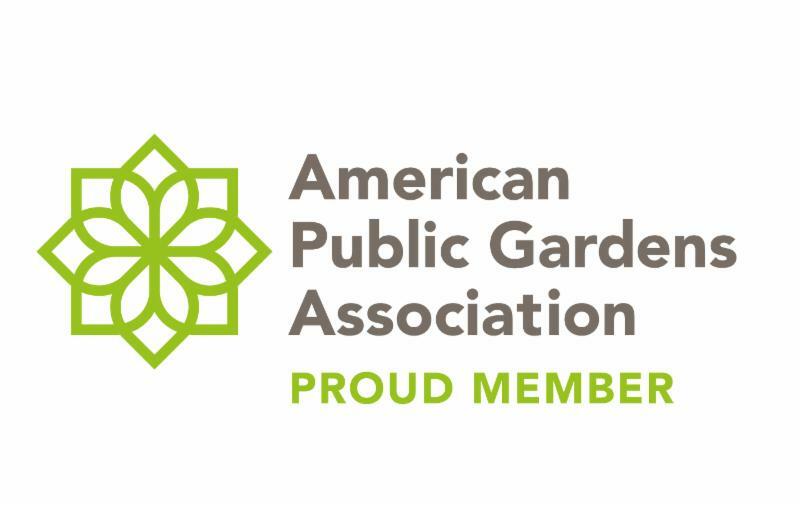 Additionally, when the mapping is done, we intend to have a user edition that can be made available to guests and researchers bringing the Arboretum into best practices and in keeping with many other public gardens around the world. From this milestone, we could also develop a printed guide highlighting some of the plants in the collection and their locations. Scheduled completion for the base map is this coming Winter, so watch for additional information in the Spring. Thank you, Sanjay and Mollie!!! 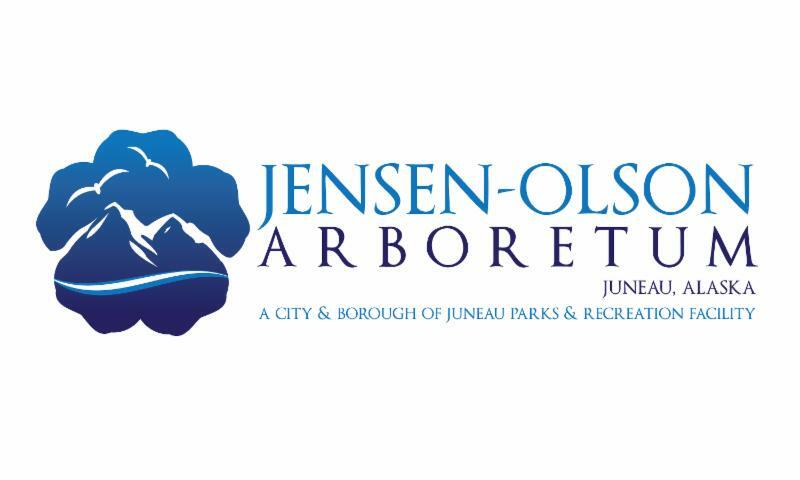 Friends of Jensen - Olson Arboretum is hosting our biennial wine and beer tasting at Glacier Gardens Rainforest Adventures at 6:00pm on August 26th. 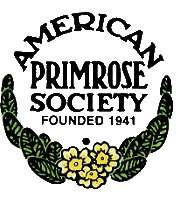 Don't miss this fun opportunity to learn more about and support the Arboretum. Tickets are $35 ($28 for FJOA members at the Family level) and available from FJOA Board members and online from the Juneau Arts and Humanities Council. 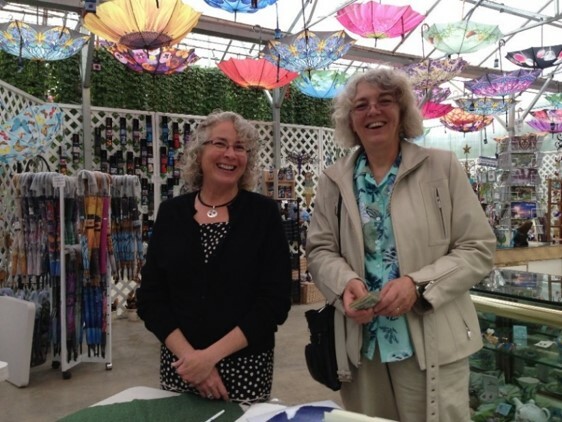 Nell M and Kim G assist with party planning and setup at a previous FJOA wine tasting fundraiser event. Pumpkins, Oats, and Quinoa...Oh, my! With this Summer's unusual weather, produce in the Veggie Garden has given the Arboretum mixed results. Beets and carrots are well ahead of a "normal" schedule, while the kale and cabbage are not performing as usual (or even as last year). New to the Veggie Garden this year is the addition of quinoa - primarily as a trial planting; we're enjoying its progress. Take a look at the top photo - can you spot the oats? 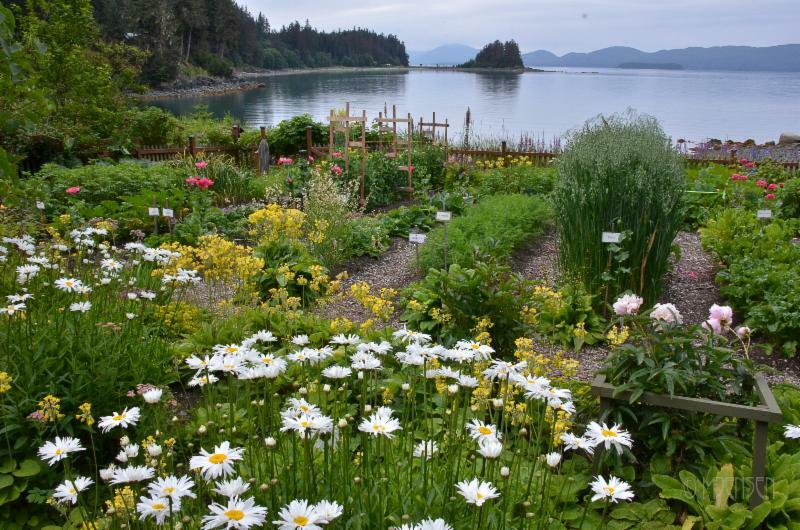 Visit the Arboretum and see them in person. We are especially excited that this year's pumpkin crop is even better than last year's; they may not fully develop orange color, but they are green and beautiful and well on their way to being our largest pumpkins ever. We've made our first produce delivery to The Glory Hole and look forward to many more over the coming weeks. 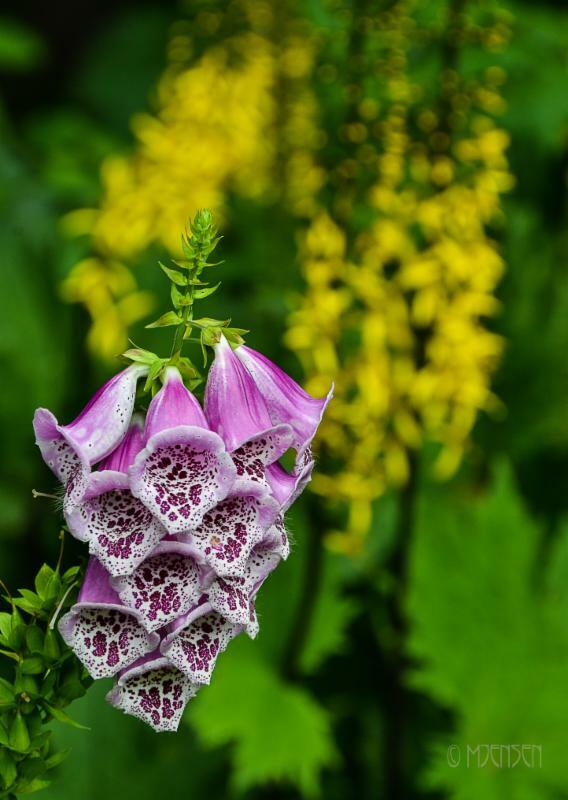 As a friendly reminder: the Jensen - Olson Arboretum is open to visitors and guests, Wednesday through Sunday, from 9am to 5pm, with the last entry/gate closure at 4:45pm. The Arboretum is closed on Monday and Tuesdays (with no exceptions) as indicated on signage and brochures and the associated gate closure. During non-business hours, the Arboretum is monitored by its resident manager or a designee. Please schedule your visits and business inquiries during stated business hours. If you need to conduct business at the Arboretum during times of closure, please call the Arboretum office in advance to schedule a specific appointment time. Please be aware that over the next several weeks, staff at the Arboretum will install security cameras throughout the property in order to facilitate site monitoring by the resident manager during business and non-business hours. Q: How old is the Apple Tree? A: Based on progression in the historical photographic record, Merrill J believes the apple tree is slightly over 100 years old. Q: How do you keep the flowerbed edges so crisp? A: Staff at the Arboretum use several techniques in certain succession to create and maintain crisp edges at each of the flowerbeds. To create an edge, they use a gas-powered edger to carve a crisp line in the turf. This power tool is also used on each bed at the beginning of the season to re-establish bed outlines. After using the power edger, staff remove turf by hand and with hand tools from the carved line. It is 1 full week's effort by 1 gardener at the beginning of each year to "crisp up" the bed edges. Maintenance of the edges throughout the gardening season is managed by hand and also with the weed trimmer during weekly mowings. Bed edging, when done well, is a long process, with a very satisfying result. Here at the Arboretum, it is one of the most commented-on aspects. 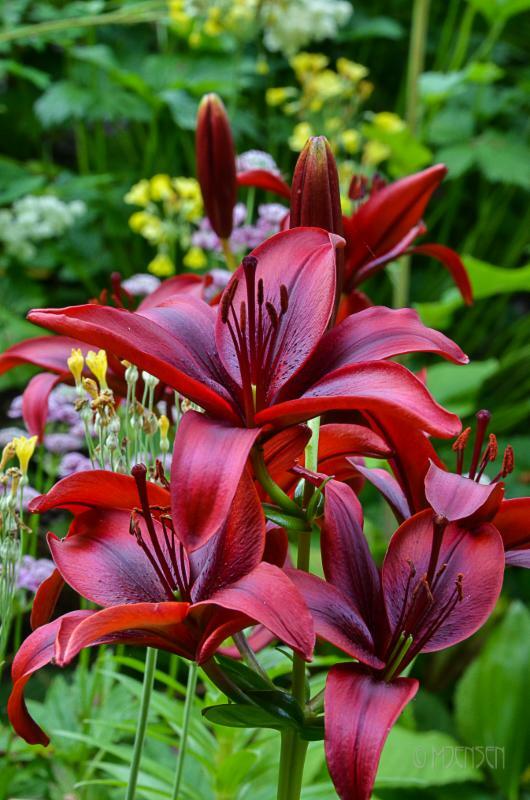 So, next time you see a gardener, offer a word of thanks for their hard work! 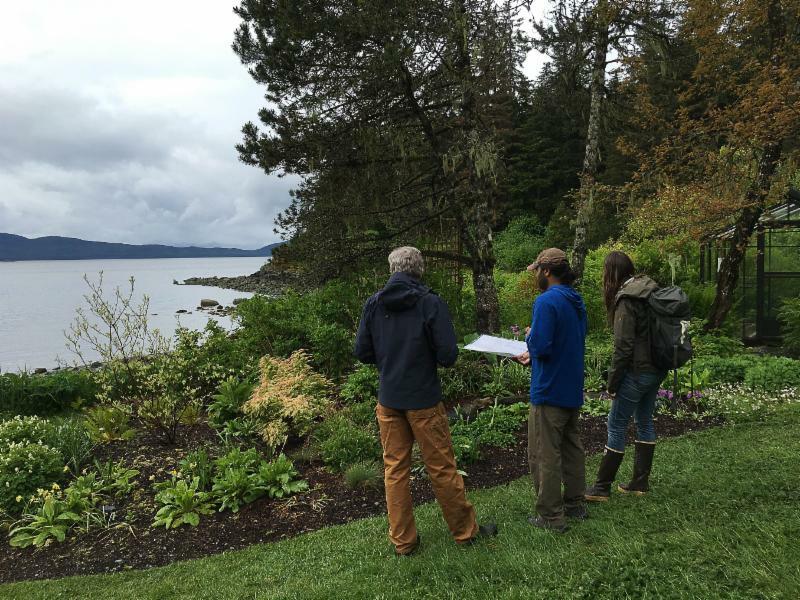 Arboretum staff and volunteers, together with City and Borough of Juneau (CBJ) are still finalizing details for Docent Training. If you are interested in becoming an Arboretum Docent and haven't already filled out the response/commitment card, please call the Arboretum office and we'll get one to you; filling out this card will ensure that you are on the list to receive updates about the training schedule.